RSMonials is a Joomla Component that works natively in Joomla environment. This is a very simple and user friendly testimonial component. Using this component you can easily able to accept comments / feedback / review / testimonials from your clients or visitors. This is a free component. RSFlashion is a Joomla Module works natively in Joomla environment. This ticker floats a number of text items that have been defined in the admin panel. It is useful to add the headlines from your favourite sites to your own website. It is resizeable, you can change colors settings, you can set float direction, you can set items url redirection. This is a free extension. RSGlassySlider is a flash based slideshow module. This is a innovative slider with replicated background. The style is smart so the entire focus is on the displayed picture. You can easily modify the dimension. 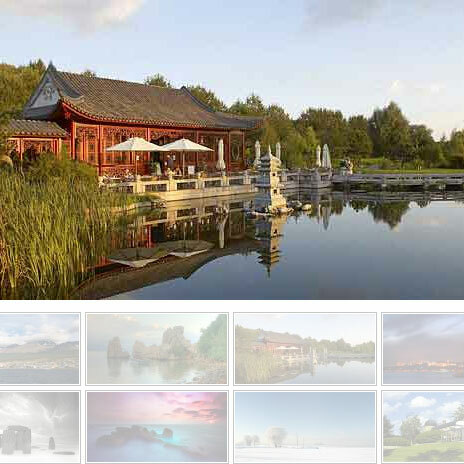 The dimension of the smaller picture is also customizable from the module parameter, and you can use two different pictures for each transition, but we determined to go with the same picture, for creating a better effect. It can handle an endless number of pictures, and each picture is packed only when the individual communicates with the navigation buttons. This is a free extension. RSSpotter is a Joomla Module works natively in Joomla environment. This ticker floats a number of text items that have been defined in the admin panel. It is useful to add the headlines from your favourite sites to your own website. It is resizeable, you can change colors settings, you can set float direction, you can set items url redirection. This is a free extension. RSSimpSlide is a Joomla Module works natively in Joomla environment. You can control the loop function, the use of random playback of images, the transition time between slides as well as the display time of an image. All from the admin module parameters. This is a free extension. RSExhibition is an image gallery extension for Joomla. The RS-Exhibition provides a very easy and effective way to display multiple images on your website. Setup is very simple and will take only few minutes. All you need to do is to set the image path properly and everything else is auto configured in RS-Exhibition extension. There are 2 style (lightbox or slideshow) available. It auto-generates all thumbnails and presents them with any one of the styles of your choice. RSCatchy is a jQuery based image slideshow module. If you want to display images as an automatic slideshow that can also be explicitly played or paused by the user, then this module is for you. It rotates and displays an image by fading it into view over the previous one, with navigation controls that pop up when the mouse rolls over the gallery. RSTwittie is a twitter entry display module. The RS-Twittie display your Twitter entries directly on your website and in very neatest way. It is designed for highly frequented websites, so the performance is high. Cache is enabled in this module, all displayed tweets get cached so they show up super fast. A lot of options are available to choose which tweets you want to show, you can also combine the options. You can set a username whose tweets you want to display. You can only show tweets to a user you’re writing to or tweets that contain a certain hash-tag or a specific word. RSGooglePR is a Joomla Component works natively in Joomla environment. This is a very simple and user friendly google page rank checking extension. Using this component you can easily able to check the google page rank of all your desired web pages (URLs) in a single click. This is a administrator component. No front-end features included. This is a free extension. RSBanners is a combination of Joomla Component, Module and Plugin that works natively in Joomla environment. This is a very simple and user friendly banner management extension. Using this component, module and plugin you can easily able to manage and display your banners. If you are using Google Adsense or similar then this extension is really helpful to you.